iTunes 10 has a cool feature where you can use album art as a HUD mini-player on your desktop, it looks pretty great and reminds me of the iPod music player on the iPod touch and iPhone where it’s centered around the album art, being totally barebones except for when you hover over and click the album art. You’ll need the latest version of iTunes, if you don’t have it yet you can download iTunes 10 from Apple or Software Update. 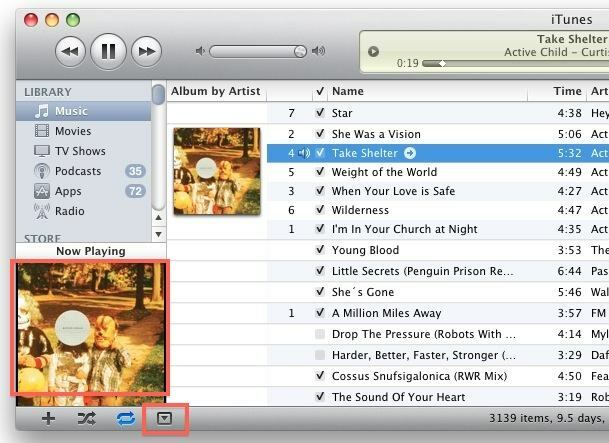 The iTunes 10 HUD mini-player will now appear, you can resize it and drag it where ever you want. If you like the iPhone/iPod style music player you should especially love this, it’s like having the iPod player right on your desktop. This album art player behaves just like any Quick Time window, so hover over it access the window controls to close it, as well as controls to pause, play, and skip songs, adjust sound volume and more. 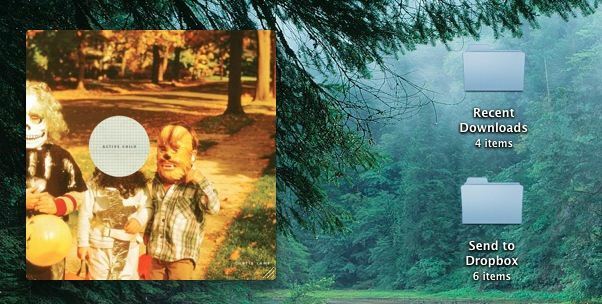 The controls fade in and out of the album art which blends seamlessly onto the desktop just like the new version of Quick Time does. 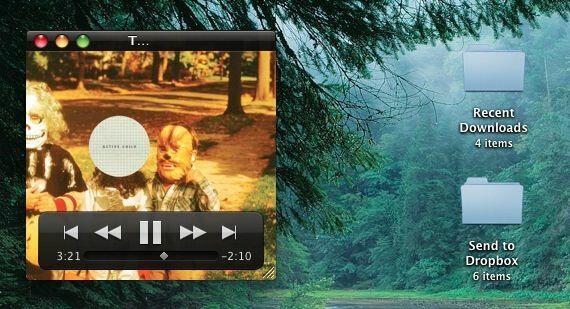 Drag the album art onto a spot on your desktop and enjoy the music. I think this is a pretty cool feature of iTunes 10 and it looks a lot better than keeping the iTunes mini player somewhere on the desktop. this desktop theme looks absolutely great, where can I get it !?! A decent feature, but I would prefer if it had some of the the features that TunesArt provides. This is a cool feature I had not noticed it before. Any idea how to make the mini player Always-On-Top in Windows? Power Menu doesn’t work coz iTunes doesn’t have the same window borders as Windows.